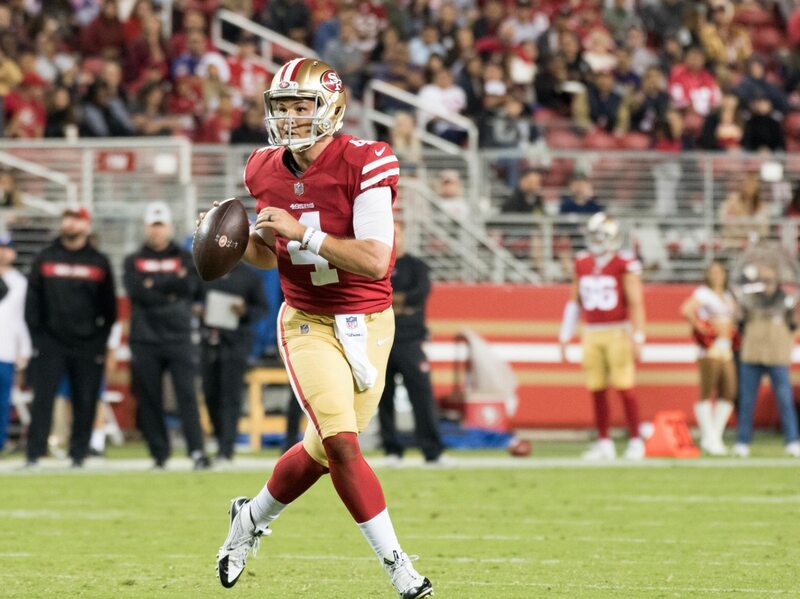 San Francisco 49ers quarterback Nick Mullens started his career NFL in impressive fashion. The second-year quarterback was perfect on his first drive, which ended with a touchdown pass to Pierre Garcon. Nick Mullens' opening drive: 3-3, 41 yards, 158.3 passer rating. It doesn't get any higher than that. Twitter gushed over his first drive. Behold the Nick Mullens Era, y’all. Is Nick Mullens a Elite QB? BREAKING: Dallas Cowboys have traded their whole 53 man roster for QB Nick Mullens. So, where they putting the Nick Mullens statue? Mullens certainly knows how to make a good first impression.